Portland Oregon has a population of more than 600,000 people with total households exceeding 250,000. Its a city with a homeownership rate exceeding 64% which brings us to approximately number 42 of the top 75 cities in the Untied States. And its an active real estate market also. So far in 2013, the greater Portland area has transacted more than 1830 residential homes and condominium units which is about 16% higher than we saw in 2011. Things are getting better, but that isn’t really what this blog post is about. Yes, Portland is a beautiful and livable city and ranks high as a sought after place to live. However we have our issues as well, just as any city does. For instance, our unemployment rate is currently running around 6.5%, about .5% below the national average. After all, the TV show Portlandia which runs on the Independent Film Channel calls Portland the city where young people come to retire. What goes hand in hand with higher unemployment levels, under employment, the high cost of food, utilities, gas, rent and other contributing factors is hunger. People on fixed incomes have to make choices and in typical situations having a roof over your head and gas in the car can many times come before putting food on the table. Thus the need for emergency food that the Oregon Food Bank distributes annually with over 1 million food boxes throughout Oregon and Southwest Washington. These boxes feed over 270,000 people, of which 92,000 are children. What is further staggering is that food box distribution has grown by 41% since the beginning of the great recession of 2008! 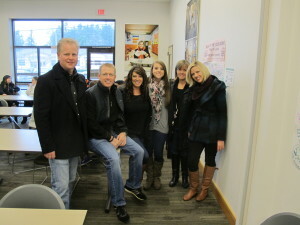 The Portland Lifestyle Team went into the Christmas season this year looking for a way to give back to our community. 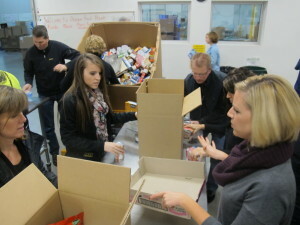 Realtors in Portland Oregon have largely been know for giving back. Giving back can come in many forms and while it is easy at times to simply write a check, sometimes giving back with your time can be even more valuable and rewarding. 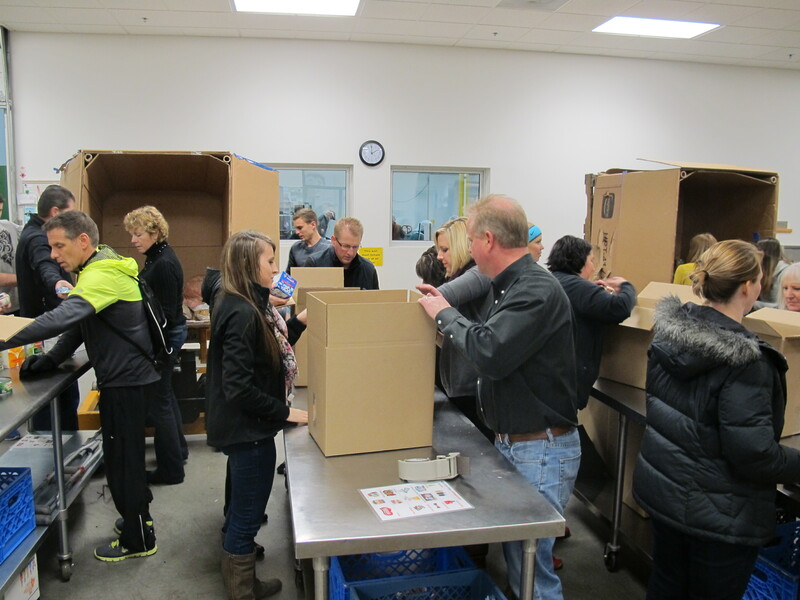 Today the whole team took their afternoon, away from what is really a pretty busy real estate market, and we refocused our time and attention to packing food boxes at the Oregon Food Bank facility in Beaverton Oregon. In the Food Banks own words, volunteers are critical to the OFB’s mission to eliminate hunger and its root causes. The time spent was amazing and fulfilling. The 3 hour shift went by as if it were minutes and collectively as a larger team, we packaged over 16,000 pounds of food which accounted for almost 14,000 meals for hungry families. Not a bad job for 3 hours! And, not that we need to be competitive, but these numbers were about 40% higher than the morning shift today! So as we navigate the remainder of this holiday season, remember that while many of us are pushing our way thru the mall, looking for that perfect present that Uncle Frank really doesn’t need, that there are hungry people out there. In the words of the immortal Forrest Gump, “Thats all I have to say about that”.